Pundit Tony Cascarino has hailed Salomon Rondon as a potential £50million player good enough to light up the Champions League. The former striker has been blown away by the impact made by the Venezuela international at Newcastle United in recent months, which continued with his goal in Saturday’s 2-2 draw at Bournemouth. “In January last year, Alan Pardew persuaded West Bromwich Albion to turn down £38 million from China for Salomón Rondón,” Cascarino told the Times. 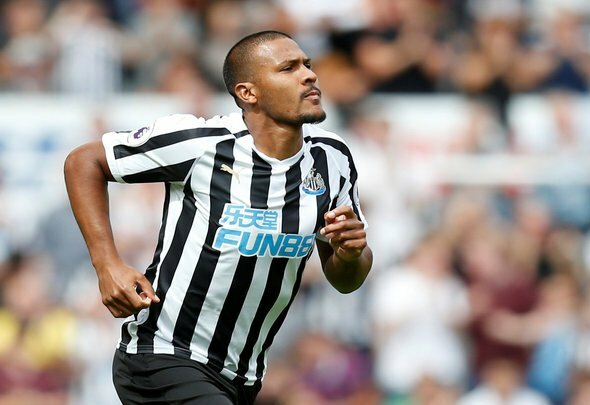 It’s remarkable to think Newcastle spent so long haggling over the signing of Rondon, a deal that was eventually signed off as a loan because they were unwilling to meet West Brom’s £16million valuation. Newcastle have not been the only beneficiaries of the striker’s outstanding form since he got his campaign up and running with his first goal in a black-and-white shirt in November. West Brom will also be counting their lucky stars that his value is soaring. Since the late autumn, the forward’s power, touch and eye for goal have scared the living daylights out of plenty of Premier League defences. He is the spearhead of an increasingly potent front three that also includes Miguel Almiron and Ayoze Perez, and has become a huge favourite of Newcastle fans. With nine goals and five assists from 25 league matches this season, Rondon is not only the real deal, but a player who could be attracting top-six club attention. He is that good.